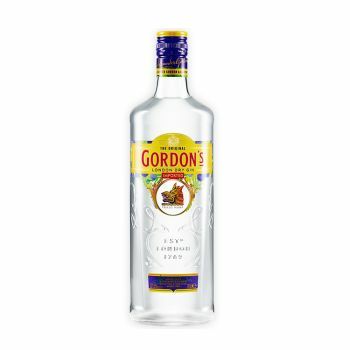 Gordon's London Dry Gin is the world´s No. 1 and is carefully distilled to a secret recipe using a unique blend of juniper berries, citrus and other rare botanicals. Gordon´s has a distinctive crisp taste and fragrant aroma.